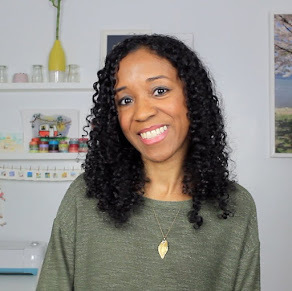 Sometimes I get so caught up in the ways that I'm falling short and the things I still need to accomplish that I forget about all the ways my life and I are fantastic already. Does that ever happen to you, too? Obsessing over the things that are missing from our lives can overshadow the reasons why we should be grateful and make it seem like there's just nothing going right. And that's exactly when you start doubting yourself, when you refuse to believe all the wonderful things people say about you and your talents (and start letting the haters slip under your skin), and you start focusing on the mountain instead of the smaller steps you can take up ahead. 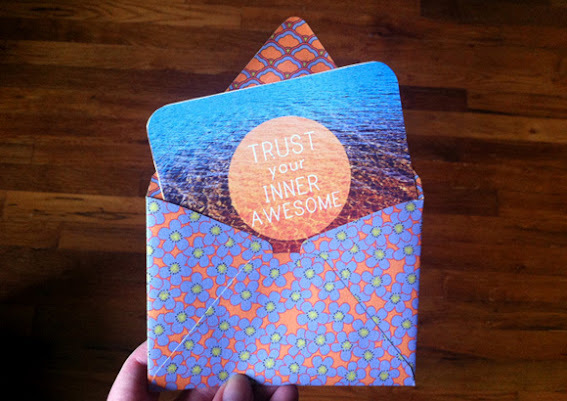 Jena Coray and Jen Neitzel of The Maven Circle were sweet enough to create this set of "Trust Your Inner Awesome" cards that you can download for free and display around your home/office or mail off to a friend. I can count off a few awesome peeps in my life who could use the reminder: that you can accomplish amazing things, that if you combine passion, focus, and the perseverance to get up fall after fall, then you can make your ideas - no matter how crazy they are - spring to life. These cards are such a great idea! I'll have to print and send a few to friends myself. Please do! I'm sure someone would really appreciate them.